This PC is ideal for simple browser based applications but it is limited in processing power and upgradability. Available with both embedded Windows 10 or Android platforms. Fully IP rated all round so ideal for washing down. This PC is ideal for simple browser based operation but has extra power to handle more demanding ERP software applications. This is our most popular machine and it’s fully upgradeable. Fully IP rated all round so ideal for washing down. 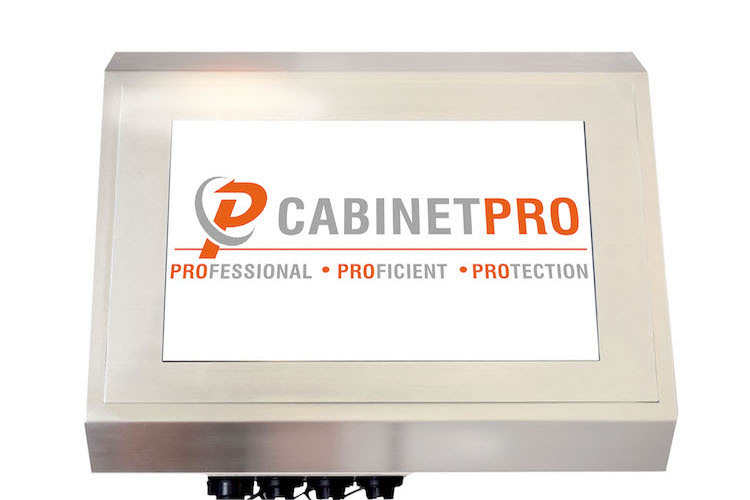 Reserved for the most demanding of shop floor applications, this touchscreen PC is available in a variety of custom screen sizes and is fully upgradeable. Full customisation is available. Fully IP rated all round so ideal for washing down. 12″ and 19″ screens are available by special order and all screens are available in high brightness, resistive or PCAP single or multi-touch operation. All our PCs use Bulgin IP68 rated connectors. They are designed for use in harsh environments and are very rugged and able to facilitate reliable and secure power, signal and data connections. 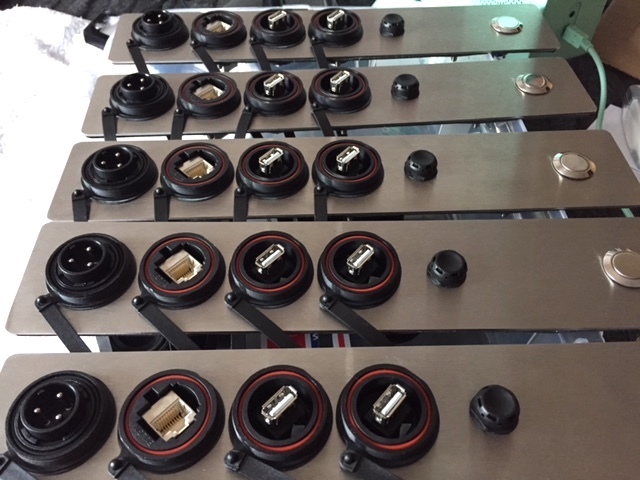 We also supply a range of cables to compliment the connectors. To further enhance water resistance, each one of our connectors is supplied with a sealing cap. Our stainless steel power buttons are vandal proof and IP rated. We also use Wiska pressure regulators on our connection plates to ensure equal atmospheric pressure within the cabinet. 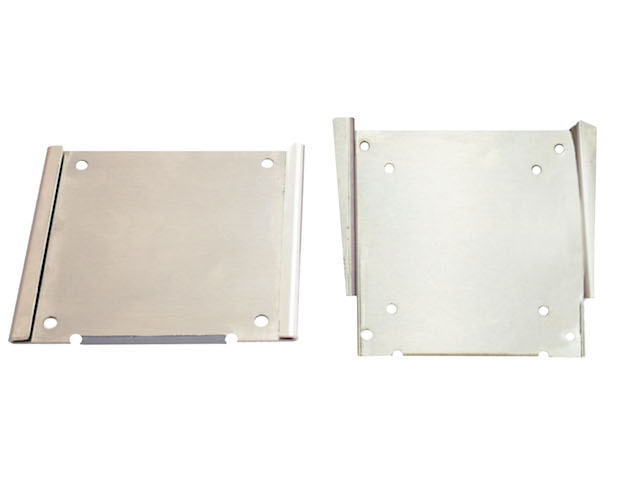 All our PCs can use our custom made stainless steel VESA mounts. They are designed to allow easy installation and removal using a simple sliding action. They come in pairs with one part being attached to the back of the PC and the other to a wall, column, machine or production line fixing. Once in place the PC is very secure but easily removed if required. We even offer a stand-off version that uses coach bolt fixings for more secure areas. VESA mount fixings are available from just £45 + Vat. We are able to supply both fixed and industrial caster wheel-able stainless steel floor stands. The fixed stands can be free standing but we recommend strong fixings made into concrete or wood. The stands have a set viewing angle suitable for all most heights. 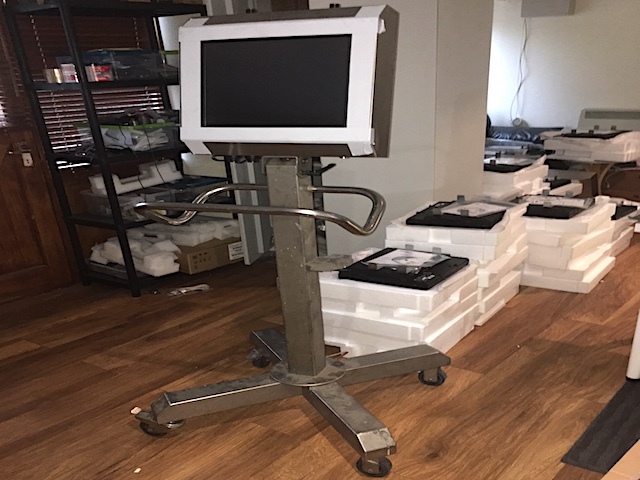 The PC is attached securely to the stand using our own custom VESA mounts and is easily removable if required. Please ask about custom made stands as it is likely we can produce something that is 100% compatible with your requirements.